Riacho arrived at Contessa in October 2015. He is a grey Lusitano stallion from Portugal. He has been trained to Grand Prix level and was selected as the reserve for the Spanish team for the London Olympic Games 2012. 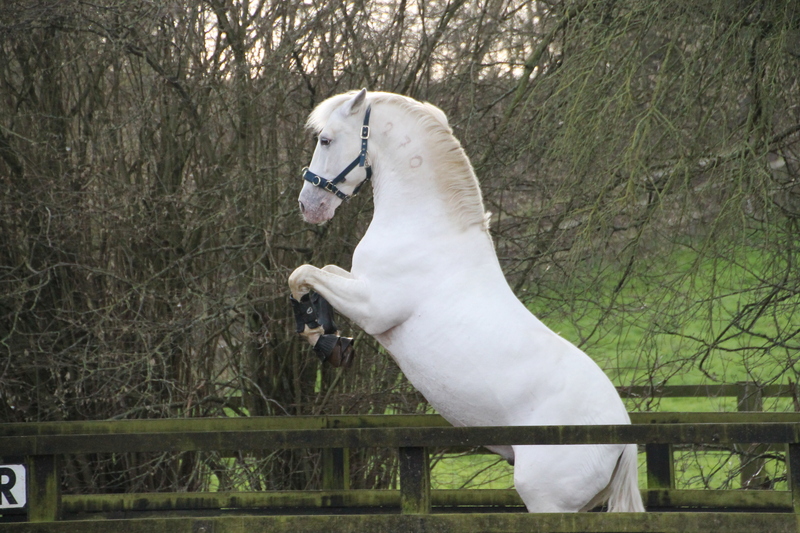 He has settled in very well at Contessa and especially enjoys our regular Lusitano Lessons with his new Lusitano friends Unico, Merlin, Queijada taught by Tina or Dawn. 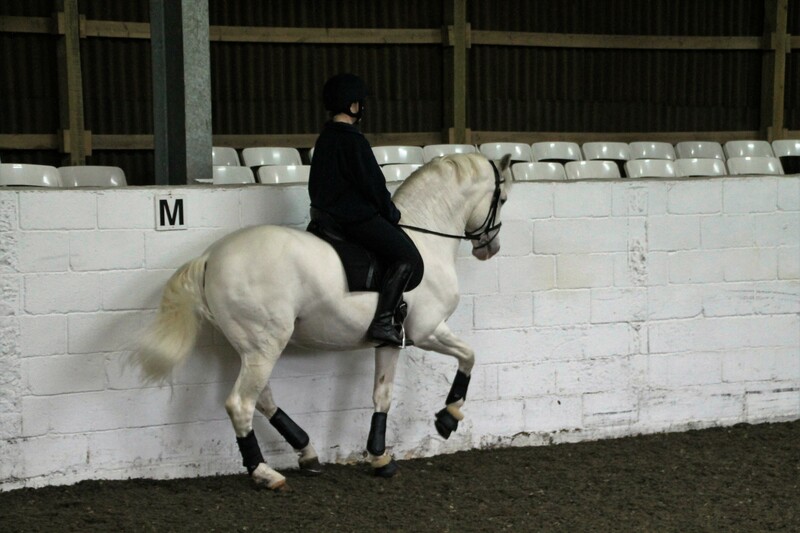 Riacho loves showing off his impressive Piaffe to the other Dressage Schoolmasters. Riding a horse of this caliber is a fantastic opportunity for our clients and staff. 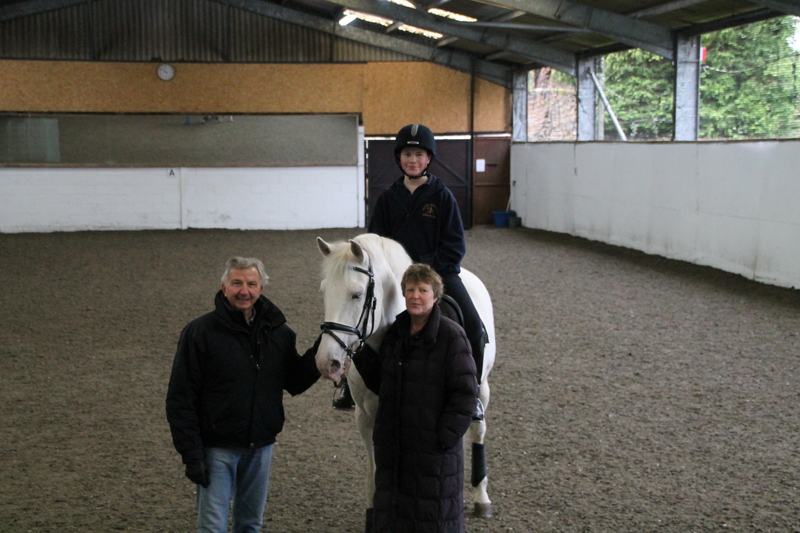 Riacho is owned by Tina’s son, Zak Layton-Elliott.